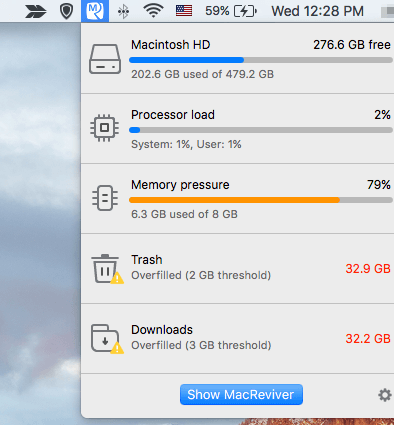 There are many Mac maintenance and cleanup tools out there, one of which is MacReviver — an app, like its name indicates, aims to revive the performance of a Mac computer. Does the app work as it advertises? What benefits does it have to offer? More importantly, is it safe and worth installing on your Mac machine? In this MacReviver review, I'm going to share my personal takes. I'll also show you the pros and cons of the app after using it on my MacBook for some time. MacReviver is a simple and easy to use Mac app. It has a clean and friendly interface, so you don't need to be tech-savvy to use it. The software is actually like a Mac toolbox that integrates a dozen smaller tools, each solves a specific problem. Hence the main value proposition for MacReviver is clear — it all comes down to convenience, due to its all-in-one concept. However, not all features are great, some you might never need to touch. In my opinion, it's not a magic app that will boost your Mac performance and make your machine run 3X faster, though it would help to some extent depending on your Mac's situation. But, it works great to clean up wasted space available for deletion. MacReviver has both a free and full version. The free version allows you to access certain features like Duplicates Finder, Battery Optimization, and Files Finder without paying a cent; While the full version costs US$ 49.99 and includes unlimited features, updates, and support. The app is very easy to use with clean and self-explanatory interfaces so you don't have to be tech-savvy to understand. It includes lots of options to find unnecessary files that are safe to remove, and by doing so, you can regain much free storage space. Some tools are very useful to protect your privacy and can improve the overall performance of your Mac. The app adds itself to Dock and Login Items automatically, which is a bit annoying to see it pops up every time I start my Mac. 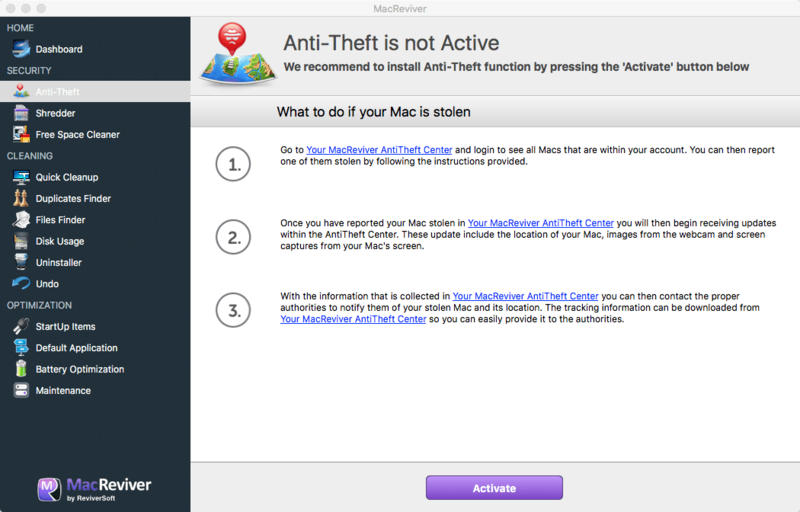 Functions of some features such as Anti-Theft and Startup Items in MacReviver can be easily achieved via Apple's default apps. Is ReviverSoft a legitimate company? MacReviver: What's In It for You? Conclusion: Is MacReviver worth it? 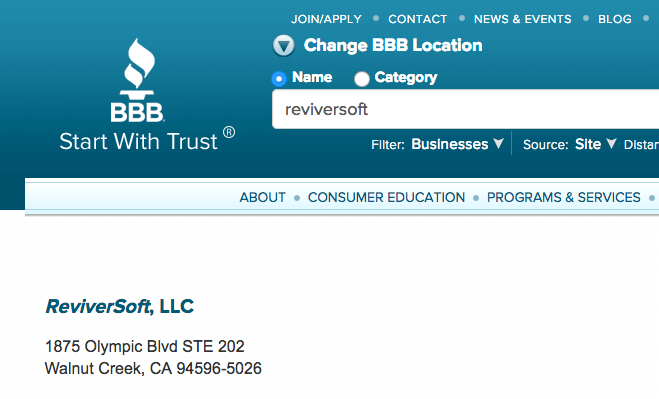 A quick search on BBB (the Better Business Bureau) reveals that ReviverSoft, LLC is located at 1875 Olympic Blvd STE 202 Walnut Creek, CA 94596-5026. An interesting news I found while researching is that In September 2014, ReviverSoft was acquired by Corel Corporation, a Canadian software company headquartered in Ottawa, specializing in graphics processing. 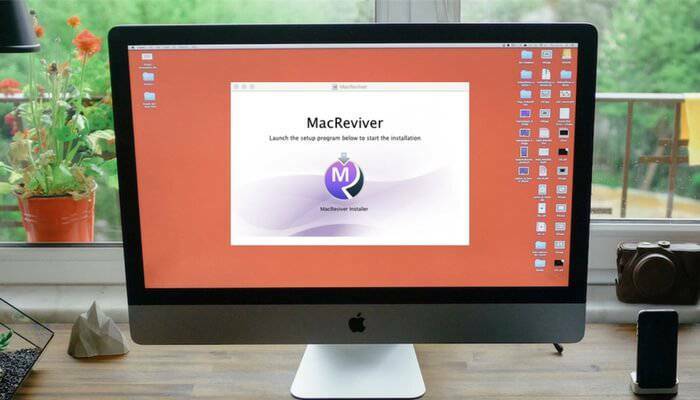 Back to the question — is ReviverSoft MacReviver legit? Yes, it is. More precisely, the company is now part of Corel. 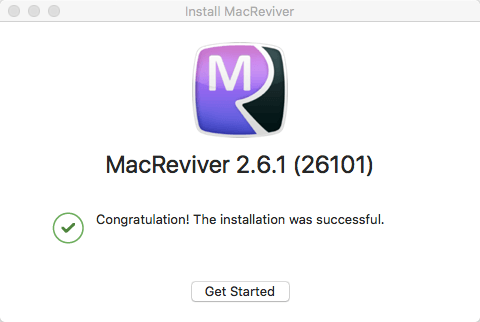 I downloaded and installed MacReviver on my MacBook Pro (with OS X El Capitan) without any problems. That means macOS Malware Detection does not report MacReviver as a malicious software or virus — in other words, the app is safe to use. Here's a screenshot of MacReviver 2.6.1 after it has been successfully installed on my Mac. I'm reviewing the MacReviver app based on its main functions: the app menu and three key module (Security, Cleaning, and Optimization). I'll break them down into smaller pieces so you could understand what each feature is used for. I'll also share with you my personal takes. The menu is like a status panel that you can look to get a quick understanding of how your Mac is performing. More specifically, it shows you a few key indicators (see below). At the bottom of the menu, it has a blue button "Show MacReviver" which allows you to launch the app. Macintosh HD: how much free storage space is available with your internal Mac hard drive. Processor load: the CPU usage on your Mac. The higher the percentage, the slower your Mac is going to respond to requests. Memory pressure: how many GBs of RAM have been used. Less available RAM is very likely causing your Mac to freeze up, especially when it is running heavy apps. Trash: whether your Mac Trash contains too much stuff, maybe it's time to empty Trash to free up some space. Downloads: whether the Downloads folder has too many application files that can be safely cleaned up. It's good that MacReviver integrates those features into one place that allows users to quickly understand their Mac performance. For example, whether the CPU or Memory is running out wild, how much storage space is available to take, etc. Although all such information can be accessed separately, it's more convenient to get it via the MacReviver Menu as it saves time. Anti-Theft: protects your Mac in case of any theft that might occur. It allows you to find the location of your Mac, take pictures of the persons who use it, and collect information to retrieve your Mac. Shredder: deletes a file permanently and make sure it is beyond recovery even with the use of third-party Mac data recovery software or services. Note: ReviverSoft claims that this feature does not support Macs with Solid State drives (SSDs). Free Space Cleaner: wipes out an unused disk to prevent recovery of previously stored files in case your Mac falls into the wrong hands. It only works with hard disk drives (HDDs), not SSDs. The Security module seems useful as it includes three features as outlined above. However, if you have played around Macs and other Apple products for a while, you'll notice that the functions of Anti-Theft are pretty much like Find My iPhone — a free app that tracks the location of your Apple devices including Mac machines. The difference between MacReviver's Anti-Theft and FindMyiPhone app is that the former also takes pictures of a user who touches your Mac. Regarding the Shredder and Free Space Cleaner features, they are definitely useful when it comes to Macs installed with HDDs. But, since Apple has been pushing SSDs on its Mac product lines, the two features will be sort of outdated in the future. This is because the way how an SSD works is quite different from a traditional HDD. Check out this article, if you ever want to learn more by diving into the technical field. 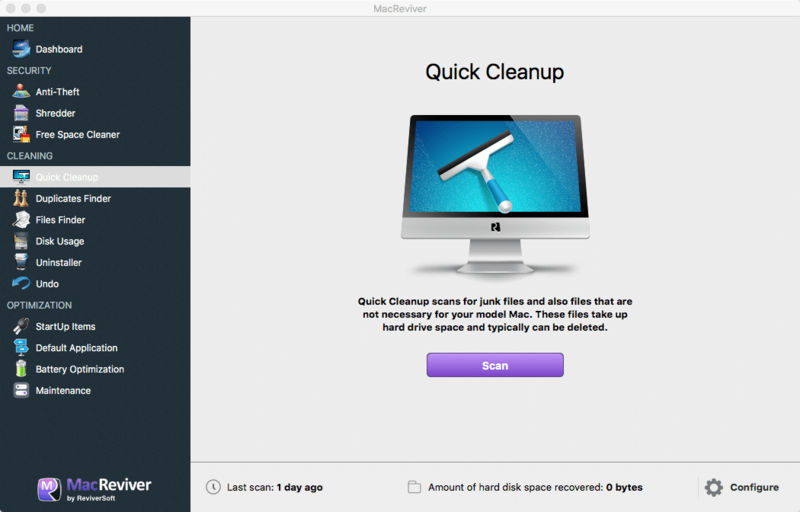 Quick Cleanup: scans your Mac for system junk and files that are not necessarily to be kept. These files may take up much precious disk space to a point that slows down your Mac. Duplicates Finder: identifies duplicate files stored in the same or different locations on your Mac computer. Some of such files can also occupy much storage space on your Mac hard drive, thus they are usually safe to be removed. Files Finder: helps you quickly find a file or folder stored on your Mac. It saves time to locate it when you forget its path. The feature is also helpful when you need to find large files that take up hard drive space. Disk Usage: gives you a quick and visual overview of what folders are taking up the most disk space on your Mac. Folders in green color indicate they are taking the least space, while those in red color indicate they are taking the most space. Uninstaller: scans all of the applications, widgets, preferences, and plugins that you've installed on your Mac, and you can quickly remove those you don't want to keep in batch. Undo: allows you to restore changes you have made using the MacReviver app, especially when you realize you have taken a wrong action, e.g. mistakenly deleted a file or folder. With the Undo feature, you can revert the action. This is the module that I especially like, and I believe it is the core of the MacReviver app. Like the name "Cleaning" tells, all the features listed in this module aim to help you free up valuable disk space which can be very precious today as you store new pictures, videos, etc. that require more space due to their large file size. Quick Cleanup can take care of Mac system junks, while other tools help you locate large unnecessary files and it's up to you whether to keep or remove them. The Undo feature is also so great that you don't have to worry about any accidental or mis-operational actions. On the other side, I want to let you know that these cleaning features are not unique. Why? Because you can find alternatives to almost each MacReviver feature and they are usually free. For example, the Disk Usage feature can be replaced by a colorful bar in macOS Storage (Apple logo > About This Mac > Storage), there are some tricks to find duplicates on a Mac, and some free third-party utilities like CCleaner and Onyx can get rid of junk files fast. Startup Items: shows you all the applications that are set to automatically run when your Mac starts up. And you can disable those you don't need in order to speed up Mac startup time. Default Application: gives you an overview of the default applications to open different types of files and you can change them based on your preferences. For example, any photos are opened by Preview app by default; here you can change to open them via PhotoShop. 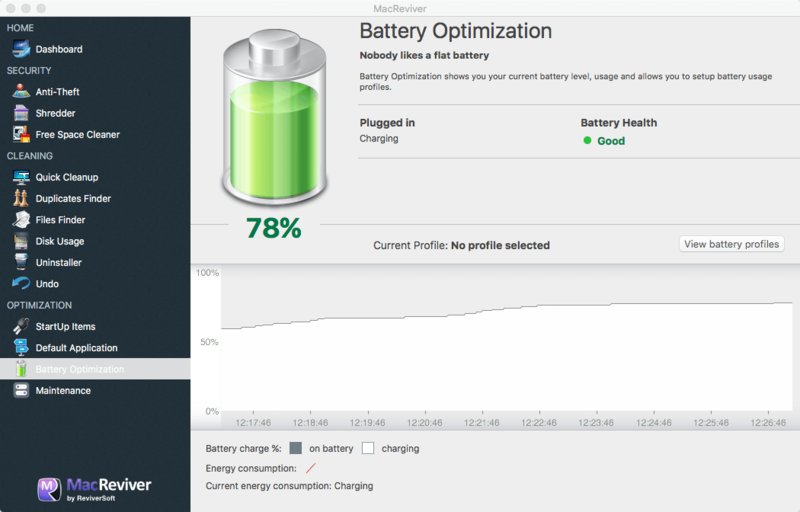 Battery Optimization: shows your Mac's current battery level. You can use this feature to set up battery usage profiles to maximize battery life. Also, you can check battery health with it. Maintenance: lets you run a variety of maintenance tasks to help resolve application errors, improve search performance, and fix Internet connection issues. I like the Battery Optimization and Maintenance features as they are truly helpful to me, but not so much about Startup Items and Default Application because I can easily perform the tasks with the built-in utilities in macOS. For example, the Login Items (System Preferences > Users & Groups > Login Items) allows me to manage startup items, and I can adjust default applications to open certain type of files with the "Always Open with" option which often shows up after right clicking the file. Once again, the main value of the Optimization module lies in its all-in-one-place concept, where you do various optimization tasks in one place without opting for different places or utilities. No, it isn't. Although it does have a free version that allows you to access certain features (e.g. Duplicates Finder, Battery Optimization, Disk Usage, etc. ), it requires you to get a valid license code if you want to use other key features. How can I get an active license code? You'll have to purchase it. The pricing of MacReviver starts from $49.99 per Mac (buy here). Once you buy it, you'll receive an email instantly with the license key. You then click "Register Now" to activate all its features. 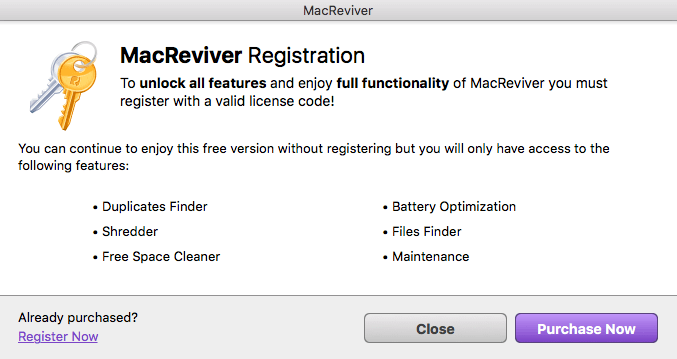 How to disable MacReviver from Mac startup? 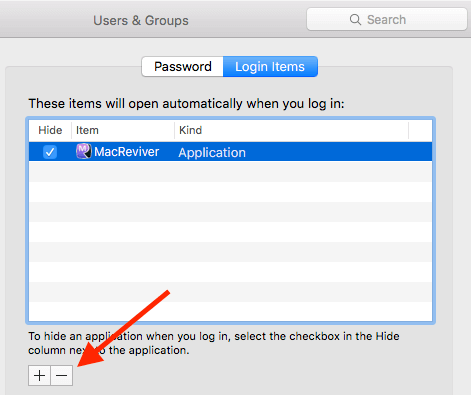 The easiest way is to go to Login Items (under System Preferences > Users & Groups), select the app and click the "-" at the bottom. This will prevent MacReviver from auto launching after your Mac starts. Open the app, on the left corner of your screen. Click on Help in the menu, then Uninstall. In the new pop-up window, confirm "Uninstall" and follow the rest instructions to complete the uninstallation process. Note: you may also uncheck the "Keep user data" option. In general, I think MacReviver is worth it especially when you have an older Mac that is running out of space and or experiencing performance issues. Like I said in the beginning, the app will help speed up your Mac a bit, depending on your Mac situation. Meanwhile, the cleaning features are excellent in detecting and removing unnecessary files, so you don't have to worry about not having enough storage to save your favorite photos. On the other hand, be aware that MacReviver is like a toolbox that integrates a handful of tools into one place, and almost every feature can be achieved by other means which are often free of charge. That leaves us to conclude the main value of MacReviver is its convenience. Don't underestimate the time and efforts you'll have to invest by exploring those free alternatives, and think about the feeling that you can just open MacReviver and get a task done fast. So, if you are a computer person who doesn't mind digging into the tech stuff, then MacReviver is probably not for you. If you are new to Mac or you are not comfortable computers, MacReviver is a great app that brings value.